Recently, an upturn in indigenous struggles in Australia have seen the legacies of colonialism and genocide forced back onto the national radar. 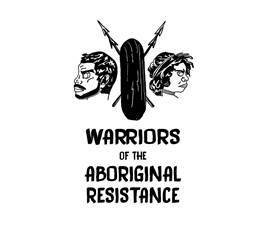 Protests against the closure of indigenous communities, the continued forced removal of Aboriginal children by welfare agencies, and the birth of youth-led groups like Warriors of the Aboriginal Resistance (WAR) are but a few examples of this. Instead of the sanitised government-sponsored campaign to ‘Recognise’ indigenous peoples in the Australian constitution, many of these activists are looking back to the global struggles of the 1960s and 1970s for their political inspiration. 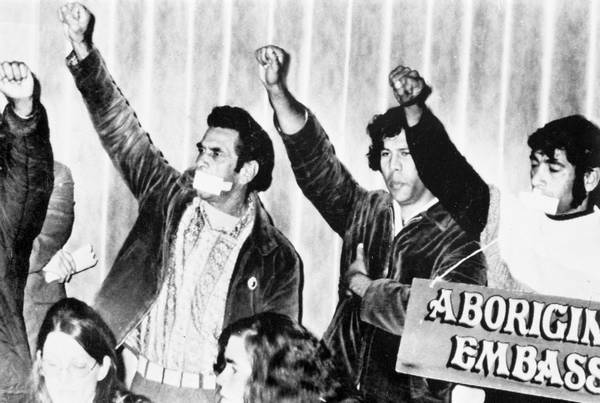 The 1960s and 1970s witnessed a strong and proud indigenous movement that demanded not just recognition, but liberation, part of a global movement of colonial peoples. Just last year, Meriki Onus, a leading member of WAR, declared that “Australian militant Aboriginal activism has been dormant since the 70s”, replaced with the calls for recognition, native title, or individual “human rights”. “The 1990s were dire in terms of organizations for and by black Australians”, Onus explained, “[s]o we’re here to change that. And unlike other groups we’re not here to dance with other existing enslaving power structures.” Consequently, WAR consciously looks back to the transnational imagination and practice of the 1960s and 1970s. WAR itself was born from aboriginal travels abroad. Onus and several other young activists were “so inspired” by travelling to Canada in late 2014 to attend a gathering of the #idlenomore movement of indigenous resistance, that they established the group upon their return. This very act of travelling internationally to meet like-minded activists was also very much part of the 1960s-70s protesters’ toolkit. Many delegations went overseas during these years. 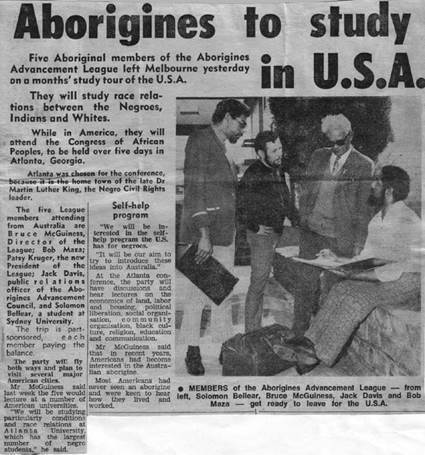 In 1970, for example, five aboriginal activists travelled to Atlanta, Georgia, to attend a conference of the Black Nationalist “Congress of African Peoples”, and then travelled to New York to meet leaders of the Black Panther Party. One aboriginal activist, Patsy Kruger, recalled leaving the Congress feeling like a “sister in the struggle for the liberation of black people wherever they are and whoever they are”. This trip had significant after-effects as well. 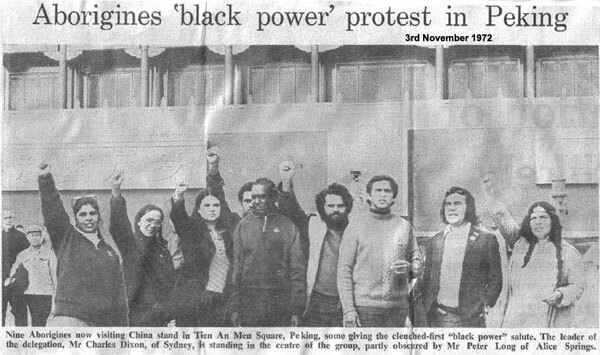 A Black Panther Party was formed in Australia in 1972, and several members of this delegation, including Bob Maza, went on to form the National Black Theatre, examples of which they first saw in the United States. In 1972 and 1974, two groups of indigenous activists took a very different transnational route – visiting Communist China. Seeking allies and support, the activists toured minority areas and were treated as international dignitaries. “We were treated as human beings for the first time in our lives” was a sentiment expressed by many travellers, who found similarities between Maoist practices of communal living and the traditional ways of life of indigenous Australians. And while, owing to the geopolitical turbulence of the early 1970s, the Chinese did not have much to offer materially to their indigenous visitors, tour leader Chicka Dixon returned home with the feeling that Aboriginal Australians now had “800 million Chinese on our side”. Mostly in the way we’re made up entirely of young Aboriginal people. X said even the best white members of black organizations would slow the discovery of what we need to for our ourselves. Also our magazine is modeled on the Black Panther Party’s Intercommunal News Service. Such influences mirror those of WAR’s elders and forebears, many of whom remember how reading Malcolm X’s autobiography sparked a pronounced political awakening. 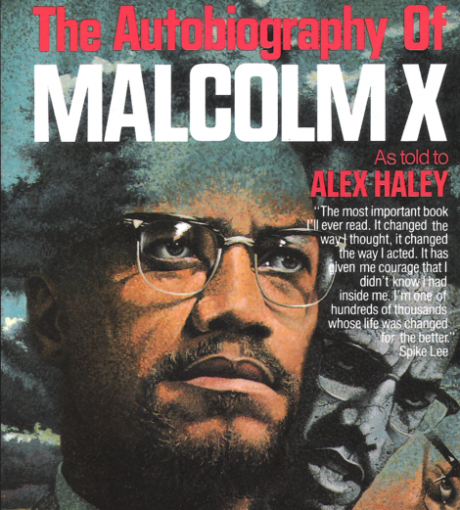 After being lent a copy of the black radical’s autobiography in the late 1960s, Sydney activist and law student Paul Coe recalls how “Malcolm X exploded in my mind”. Malcolm X’s writings of exclusion and the need for black-only organization resonated in the Australian political climate. Nor was Malcolm X’s message unique in its aboriginal reception. Other American activists found a receptive hearing. Leading figure in the Victorian Aborigines Advancement League, Bruce McGuinness, for example, insisted that Stokely Carmichael and Charles Hamilton’s foundational 1966 text Black Power “should be the prized possession of every aborigine”. As I have explained over at Hatful of History, the Black Panther Party was an equally important inspiration, with a short-lived chapter of the organisation emerging in Brisbane, capital of Australia’s most racist state. Breakfast programs, legal centres and pig patrols, alongside the uptake of the Panther’s radical couture, were just some of the ideas and practices born of this linkage of transnational radicalism. Yet some indigenous activists of the ‘60s and ‘70s also experienced the limits of transnational identification, particularly with the African-American struggle. Jack Davis, one of the five travelers to the 1970 Congress of African Peoples, argued that the experience of Black Americans—victims of transportation and slavery yet now a significant part of American life—could not really relate to Australian Aborigines, who had been in Australia “since the creation” and still had little purchase on public life. Fellow congress-goer Bob Bellear struck a similar chord, noting how “the thing is that blacks in Australia…can’t equate the problems of this country, the problems of class struggle, the problems of racism in this country with problems in any other part of the world”. These are lessons that today’s activists are very much aware of. Transnational ideas inform rather than override local concerns. Inspiration is drawn from overseas and placed in a firmly localized Australian context, with Malcolm X valorized alongside such Australian activists as Pearl Gibbs. History is alive for today’s indigenous activists. Instead of seeing the past as a linear progression, to invoke Walter Benjamin, they are reaching back into the past and pulling out ideas of value to “reanimate” them in a very different present, constantly invoking past struggles to inform contemporary action. My latest on the international imagination of Australian indigenous activists, then and now.